7 of 18 Iraqi Provinces now control the security and governmental operations in their region. How many Americans do you suppose know that? 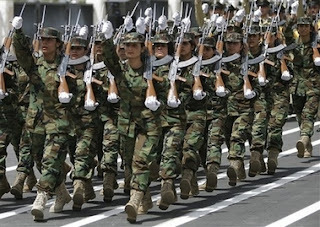 Three Kurdish provinces were handed over to Iraqis this week in grand ceremonies. It was another great day on the road to a free and democratic Iraq as three more provinces were turned over to Iraqi officials this week. Sulaimaniyah, Arbil and Dohuk provinces are ruled by the Kurdish Regional Government, which has its own executive and ministries and has been spared much of the unrest wracking the rest of Iraq. “Today is another success in the process of rebuilding Iraq,” Kurdish Prime Minister Nechirvan Barzani said at a ceremony in his capital, Arbil. 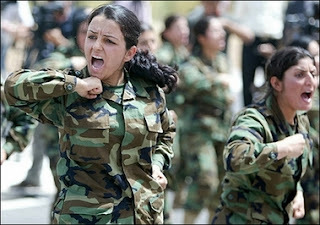 The handover was followed by a parade of Kurdish soldiers, including an all-female martial arts display. 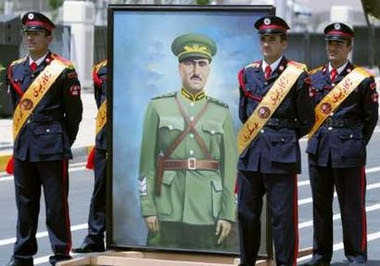 “This is the result of the experience of 16 years,” he said referring to Iraqi Kurdistan’s history of de facto independence since the 1991 Gulf War weakened Iraqi dictator Saddam Hussein’s grip on the mountainous north.